Please welcome my special guest, author Heather S. Ingemar. Heather has loved to play with words since she was little, and it wasn’t long until she started writing her own stories. Termed “a little odd” by her peers, she took great delight in exploring tales with a gothic flair, and to this day, Edgar Allan Poe continues to be her literary hero. She completed a B.A. in English Literature in December of 2006, and she and her husband reside on the family cattle ranch, with two dogs, two house-cats and many rogue turkeys. She performs music on the side. When she’s not playing music or riding her motorcycle, she takes pleasure in writing for Indie presses, and her short fiction has appeared with Niteblade Fantasy and Horror Magazine, Membra Disjecta, and MicroHorror. Thanks for this interview, Heather! How long have you been writing paranormal stories? Let’s see… I started writing seriously in 2005, and had my first sale in 2006, so what… four years now? Five? Tell us about the type of paranormal stories you write. I write stories about love, loss, and finding that last bastion of strength within you never knew you had. I write a lot of stories where the role of the “monster” is reversed — where us mere mortals are worse than the monsters could ever be. 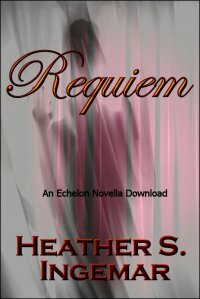 You also have a young adult novel out, Requiem, which was nominated for an award. Tell us a bit about this. What was your inspiration for it? “Requiem” is a novella — it’s shorter than a full-fledged novel — and it tells the story of a gifted singer, Hattie, who has the odd talent to sing the zombified dead from their graves. Hattie would like to be anything but what she is — but her talent is a source of pride for her overbearing parents. The inspiration for this story came from many things; wanting to write a story involving music, wanting to write another zombie story… Lots of different things contributed to this one. My favorite author list is too long to name. Y’all would be sitting her for days! But I’ll say this: I’m a big fan of Neil Gaiman, Amelia Atwater-Rhodes, and Edgar Allan Poe. What do you do to promote yourself as an author? I make sure I have a website/blog that is updated regularly, and I have a few favorite social networks I am active on (Twitter, GoodReads). For the others, if they offer a RSS feed capability, I make sure they have a feed displayed for my website. It helps minimize my online time. Write what you want to read. Learn to take criticism. Be the pickiest person you can be regarding your grammar. Do you have a blog or website where readers can learn more about you? What on the horizon for you? Hattie Locke has a gift: when she sings, the dead dig themselves from their graves to listen. As a death-siren, her life has always been this way. Then the dead begin to show up in numbers far beyond expected. With each song she sings, they grow pushy and demanding, rushing the stage to reach her. Trapped in a place where her dreams of music become her nightmares, Hattie is left with nowhere to turn. But then she meets a boy, who promises freedom from her curse. Now Hattie wonders: is ridding herself of her voice worth losing the music she’s lived to create? Voted Top Ten Young Adult Book for 2009 Preditors & Editors Readers’ Poll! “Are you nervous?” My dad pushed his thick glasses higher on his nose with a stubby finger. I shook my head and smiled, trying to hide the sinking feeling. My cheeks burned as they hugged each other, happy and proud of their “prize daughter,” their golden-throated siren destined for Julliard in two years. Didn’t matter I hadn’t even filled out the applications. I stepped out and the door closed. I rolled my neck to relieve the building tension. The springtime air felt cool and clean, and I inhaled deeply before strolling down the concrete path to my ’91 Honda. Not a fancy car, certainly not a sharp-looking car, but I was proud of its good gas mileage. into the driver’s seat. I leaned back against the headrest, tired, worn down. The cold vinyl leached the warmth from my body. I didn’t want to sing tonight. I didn’t want to deal with the curse of my voice, though I waited three years to sing this piece. Unfortunately, people counted on me. I gave another relatively dramatic sigh, and jabbed the key into the ignition. The engine rumbled to life, and I put it in drive. I could have walked, but I wanted to get this over with. The sooner the better. No matter what people tell you, stage nerves never totally go away. Those who don’t get nervous, who don’t experience that heady rush of adrenaline prior to curtain rise, don’t care about their work. A healthy dose of nerves can keep you sharp. It means you care about the music. About doing well. I never got sick and hid in the restrooms, retching up a half-digested dinner right until curtain time. But things were getting worse. I didn’t like how strong the effects of my voice had become. My guts tightened, sped up my heart rate. My pulse thundered through my hands, my ears, my temples, beating harder and harder with each revolution of the car tires. I focused on the yellow and white lines in front of me and breathed. the turn, trolling through the back parking lot. I parked between a monster, red Suburban and a little Toyota. In the dark, the hood of my car shone orange-yellow, reflecting the streetlight’s mercury glow. Dressed in their best concert wear, the rest of the choir filed into the theatre to prepare. I should be among them. Yet I stayed in the cool bucket seat, hand on the door handle. My muscles held me down, lethargic, binding me to the seat. People are counting on me, I thought again with bitter savageness. I can’t afford to chicken out now. My breath fogged a small circle on the glass. I drew a little frowny face in the mist and then got out. The door slammed and the stragglers paused to look. Irritable, I scowled in their general direction. The chill temperature raised goose bumps on my arms and I folded them across my chest. Despite the cold, I hesitated. Yes, people counted on me, but was it worth dealing with the curse? “The music is worth it,” I muttered, shaking my head. Music made everything right. Music gave me release, freedom from everyone who pressed and poked. Within the notes of the song, I soared and disappeared. At least, I imagined I could disappear. I wanted to disappear. Disappearing, however, is kind of hard to do when you’re a siren of the dead. Shelby Patrick, born and raised in southeastern Michigan, grew up watching classic horror movies of the great Vincent Price, Christopher Lee, and Peter Cushing. She turned her love of horror into the written word during her senior year in high school when she was introduced to her first writing class. She spent a great deal of time attempting to perfect her writing and researching markets. Nine years later, her dream became reality. She had her first short story published in a literary magazine. That same year, she also had an article published on the art of self-defense in Karate/Kung Fu Illustrated. Shelby has published various articles throughout the Internet and created several e-books that are currently in circulation. Not only does she work avidly with thrillers, but she continues to work with her other favorite genres: Fantasy and Science Fiction. She is currently working on a supernatural novel involving a serial killer. 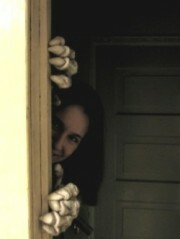 Shelby was the founder of the now-defunct Michigan Horror Writers and the editor for several newsletters. Besides writing and dreaming, her other interests include martial arts, animals, and astronomy. Can you tell us a little bit about your background, and what led you to become a writer? Well, I was first introduced to writing back in high school. I was short a class and the only one that sounded even remotely interesting was the creative writing class. The teacher pushed us past our limits. She gave out a variety of assignments — script for a play, magazine, short stories, children’s book, etc. I didn’t think I had a creative bone in my body and had to ask family members for help. It really surprised me when it came to the writing part. For a class I felt I was forced into, I actually had fun. Who knew that writing could be so enjoyable? Anyway, I aced the class and was hooked on the written word ever since. What was it like to have your first thing published? I was in Heaven. I never thought I could actually become a published writer. I had gotten so many rejections before that I had almost given up. Then one day, it happened. I got the ACCEPTED letter. Oh my God, it gave me such a high. But that was so long ago. I really haven’t had a whole lot published, just a few tidbits here and there, but every time I do, my head spins for days and I walk around with this huge, silly grin on my face that drives my family crazy. Do you prefer the short story to the novel? Both are very different. In a short story, you only have a short amount of time to introduce your characters, throw them into the action, and come up with a climax. You don’t have a chance to develop a real relationship with those characters and it’s a lot harder for the reader to get involved. I don’t enjoy the short story as much as the novel, but that’s probably because with the novel, the writer spends a great deal of time with it and gets to know the characters. The novel gives the author more time to develop those characters. It can take place over many days, weeks, or even span centuries. You can take your time here and provide a real setting for the reader to get lost in. Who was your favorite author growing up and who are your favorites today? When I was younger, Stephen King was my idol. I couldn’t get enough of his stuff. I also liked William W. Johnstone’s devil books and other horror authors like Stephen Gresham and Dean Koontz. I also read a lot of Elizabeth Scarborough’s, Christoper Stasheff’s, and Terry Brooks’ fantasy and some Piers Anthony. In high school, my sister shoved some sappy romance novels on me from authors like Nora Roberts and Catherine Coulter. I only enjoyed those if they were historical ones. I’m also a fan of comic books and superheroes. Wolverine, Batman, Spiderman, Iron Man, and especially Daredevil. A few years ago I went out of my way to locate an old issue of The Blue Beetle in good condition for my dad, who had been a fan of this comic as a kid. Today, my tastes have grown more sophisticated than just being a Stephen King fan. I have branched out and instead of just liking horror, my new faves are thrillers: Kay Hooper, Iris Johanssen, Tami Hoag. Tell us what your new book, The Fear Within, is all about. This is my first fiction book to be published. It’s a short story collection. Twenty-five of my most horrifying tales, twenty-six if you count the 100-word flash fiction story at the front of the book. My editor actually gave me the idea for the cover art. He asked me if all my stories have to deal with death and he said he was waiting for the happy Shelby Patrick story to show up. So I picked the grim reaper pointing to the reader and since the stories are horror, FEAR seemed the best option for the title. After all, who isn’t afraid of death? Three of the stories are science fiction — mutants, aliens, and super computers. The other stories all deal with things that could terrify anyone, such as ghosts, being trapped in a dark elevator during a power outage, surviving a virus that turns ordinary people murderously insane, demons that thrive on stealing human souls, and well . . . you’ll just have to get the book and read what else is inside. Can’t be giving away all my secrets, now can I? What was the toughest thing about writing this book? Putting it all together. I had written each story separately through the years and after it was all added to one collection, I realized how similar each story was. I used the same character names in different stories, the characters pretty much all spoke the same, the settings hadn’t changed much. When you write a short story collection, each story needs to be able to stand on its own. Every character should have his or her own voice. No one wants to read a collection if everyone sounds like the same person. Do you have any plans for a novel? I’m glad you asked. Novels are much more fun to write. I have several of them waiting in the queue, as a matter of fact. So far only one of them has been professionally edited and is awaiting its day in the spotlight. It’s a supernatural thriller entitled When Angels Sing. There’s an excerpt from this novel at the end of my short story collection. Hopefully, it will be out by the end of 2010. And the big question of the day is, where do you get your ideas from? The story fairy brings them. Yep, she flies in my window late at night and whispers ideas into my ear while I’m sleeping. She especially likes when I make cute little cut-out cookies shaped like butterflies. Well, not all my stories come that way. Take Dead Lines for example. I used to deliver newspapers late at night and had to go inside darkened buildings where my imagination took flight. So one night I imagined dead people sitting in those dark offices, their soulless eyes staring at me as I passed their doors. It creeped me out. After I had left the building, I drove down this one street and someone had put out a garbage bag by their curb. My tired mind wondered what would happen if that hadn’t been garbage but instead was someone’s decapitated head. Wow, right? Well,it gets even trickier. I turned the corner and there was this giant black truck sitting in a driveway. I had never seen that truck before, but what caught my attention was the license plate. It said DEATH. I kid you not! The idea for Dead Lines started to form and when I heard this Billy Squier song on the radio, two words from it stuck in my head: DEAD LINES. Voila! I had my story, came home, wrote it in a couple of hours, sent it off to a magazine, and got my first horror story published. Of all the stories you have written, which one is your favorite and why? E-fection was cool and so was Alien on Board. I love my manly heroes. But those aren’t my absolute favorites. My first love of any genre is and always will be fantasy. I wrote a novel awhile back, which I haven’t had edited yet or hasn’t been published. It’s my all-time favorite story. I just love a good adventure — magic, dragons, swordsmen. One day soon that story will join my published collection. If you could share one tip with the beginning writer, what would it be? No, seriously. Writing and getting published are two different things. It’s not a job for the faint of heart. It requires a lot of hard work and focus and you have to be prepared for brutal critiques or rejections. It takes time and a lot of gray hairs, but if you are serious, and stick with it, you can become a published author. Born in Dallas, TX, Beth Fehlbaum has never left the Lone Star State. A special place for her, Fehlbaum has authored two young adult novels set in Texas. Fehlbaum graduated in English from the University of Texas at Arlington and received her masters in Elementary Education from Texas A&M. The author has always had a passion for teaching, social justice and insisting upon authenticity in the classroom, much like one of the characters in her newest teen novel Hope in Patience (October 27, 2010, WestSide Books). 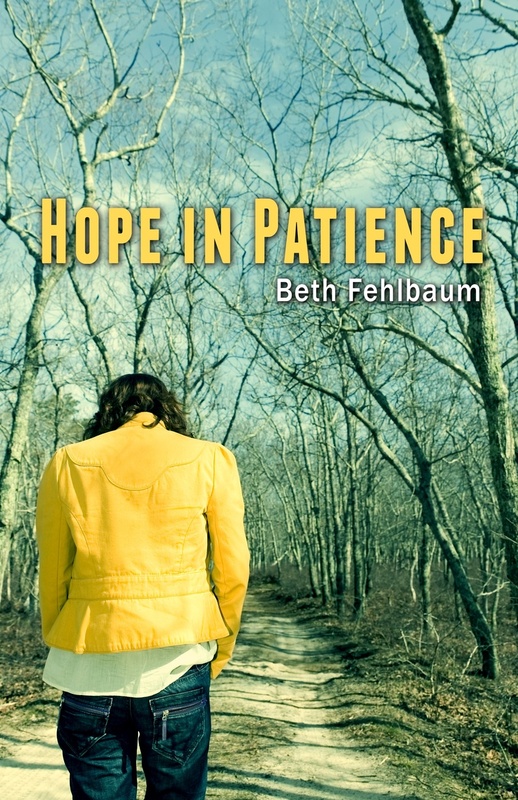 Fehlbaum was inspired to write Hope in Patience, which tells the story of a young teens road to recovery after being sexually abused, from her own personal life experiences. Aside from her career as a writer, Fehlbaum enjoys teaching 5th grade students in a bilingual education program in East Texas. Fehlbaum married her high school sweetheart, and together they have three daughters in college. Her favorite place in the world is her own front porch, where she writes books at a table built by a good friend. There are certainly no vampires in this young adult novel. Why did you go such a different route to reach teen readers and what are your Patience series about? Well, to be honest with you, I do not read any fantasy/vampire/graphic novels. The last fantasy I read was the first Harry Potter! My books are realistic fiction — rooted in truth. My publisher, WestSide Books, publishes exclusively Young Adult realistic fiction. The Patience Books, Courage in Patience and Hope in Patience, are the story of fifteen-year-old Ashley Nicole Asher, who is sexually, emotionally, and physically abused by her stepfather, from the age of nine. Courage in Patience begins Ashley’s story. When she at last tells a trusted teacher what has been happening to her, Child Protective Services steps in, and Ashley is removed from her mother’s home. She is then reunited with her biological father, who has not been a part of Ashley’s life since infancy. Through the summer school English class taught by her stepmother, Ashley learns to face her greatest fears and, along with other teens, discovers just how strong she is. Ashley’s story continues with Hope in Patience, as Ashley continues her rocky road to recovery, wonders what it would be like to have a boyfriend, and faces the ultimate betrayal. Ashley’s story is about courage and the power of hope to overcome fear. Your novels Courage in Patience and Hope in Patience were partially inspired by events in your own life. Tell us about that. It’s said that all authors’ debut novels are autobiographical in nature. That said, Courage in Patience is not an autobiography; nor is Hope in Patience. I did draw on many of my own experiences to write both books. Ashley has Post-traumatic Stress Disorder, and so do I – and I pulled from what it is like for me to have PTSD to write what it’s like for her. At the same time, Ashley has a strong tendency to harm herself through cutting or scratching herself, and I have never had that to the extent she does. I write what I know; for example, I use my experience as a teacher to create the Patience High School environment and many of the characters, but I also use my experience as a mom to three now-grown daughters. The character of David is VERY loosely based on my husband in terms of the physical characteristics and his occupation as a heavy equipment mechanic. Ashley’s dog, Emma, is based on my dog, Emma, who shared the fictional Emma’s tendency of having a timid personality. What did you hope to accomplish through writing the Patience books? I initially wrote Courage in Patience as a way of pulling myself out of my own grief, disbelief, and rage that I had been the victim of childhood sexual abuse and people who were responsible for keeping me safe neglected to do so. I also wrote it just to see if I could do it. It wasn’t until I had completed the book that I realized it was something that had the potential to help others who were hurting, too. With Hope in Patience, I wanted to tell more of Ashley’s story and show that although recovery from childhood sexual abuse is one of the most difficult things a person can do, it is not only possible to recover one’s life, but it is also possible to thrive and be stronger than ever before. Life does not stop during recovery; if anything, life becomes more colorful and great discoveries about oneself are made. Is there a message for adults in your books? That’s funny you ask that because I think the number of my adult readers is about the same as my YA readers! A lot of adults who are also survivors of childhood abuse relate very strongly to the Patience books. I hope that adults will see a message of tolerance for differences and an awareness that even though we often want to see the teen years as the “best years of kids’ lives”, teens are struggling with some very big stuff and adults need to respect that and listen when kids talk. Take them seriously. Why did you choose to make Hope in Patience a “survival story” rather than an “abuse story”? It’s crucial that people who were abused come to see themselves as survivors rather than victims. In addition, the story IS about overcoming rather than staying complacent and under somebody’s heel. You did extensive research into the judicial process for Hope in Patience. What did you learn? I vetted the courtroom scene with my brother, a police sergeant and long-time detective with a lot of experience in child abuse cases. He helped me with the concept of the Victim Impact Statement, which is just wild to me. The idea that a defendant can call character witnesses prior to sentencing, but the victim cannot present a statement detailing how the defendant’s actions harmed her until after sentencing has been pronounced. That just seems upside down to me. The good thing is, the defendant has to stay and listen to the Victim Impact Statement, should the victim and/or her family decide to make one. What is the favorite part of being a young adult author? Hearing from people who were impacted by reading my books, and knowing that what they read made a difference in either how they feel about themselves or how they have a deeper understanding of someone they love now. And, I like it when they appreciate the humor in my books, because I work hard at that, too. Can you give us a sneak peek to what’s next in your writing career? I am currently at work on the third and probably final book in the Patience series, tentatively titled Truth in Patience. I am a teacher from late August to the end of May, and I try to write full-time during the summer. I expect to have Truth in Patience finished and submitted to my publisher sometime next summer. “Honest and direct, Ashley Asher is a beacon for at-risk teens. You are not alone, her story says; others have survived and so can you. This is one of the hardest and most important things for at-risk teens to remember – and believe – during their long lonely nights of the soul. Hope in Patience is the kind of book that can save lives.” – Allan Stratton, Printz Honor author of Chanda’s Secrets and Borderline. “An extremely brave work, Hope in Patience takes us places we don’t want to go but must, if we are to care about victims of child sexual abuse.” – Terry Trueman, Printz Honor Author of Stuck in Neutral. On April 26th, 2007, law enforcement officials descended on a sprawling white-brick house at 1915 Moonlight Road in Smithfield, Virginia. The home belonged to Michael Vick, who was the starting quarterback for the Atlanta Falcons and one of the highest paid players in the NFL. Although the police were there on a drug search, they quickly found evidence of what appeared to be a large, well-financed dog fighting operation. Fifty-one pit bulls were seized from the property and they sat in local shelters for six months as the ensuing investigation played out, leading to guilty pleas from Vick and his partners in an operation known as Bad Newz Kennels. In most cases, that would have been it for the dogs. Considered a public hazard, they would have been euthanized. But a tidal wave of public outcry inspired government officials to at least consider the possibility of saving some dogs. The startling string of events that followed included a landmark legal decision, a never-before assembled team of expert evaluators, a leap of faith and a selection of rescuers who were willing to do whatever it took to help. At the heart of it all was a group of dogs that wanted desperately to overcome what had until then been a life of violence and deprivation. Taken together, these tales showcase a resilience, dedication and commitment that have the power to alter the way society views pit bulls and to reinforce the essential nature of the human-animal bond. 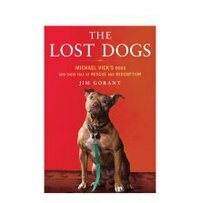 The Lost Dogs, for the first time, tells the behind-the-scenes story from the day of that initial raid until today. 1) Why do you think pit bulls have such a bad reputation? Can public opinion of pit bulls be reversed? There’s a lot of reasons for that, but essentially, I think, pit bulls are caught in a self-perpetuating cycle of incrimination and bad ownership. When there’s a problem with a dog, any dog, it’s almost always the owner’s fault. Either the dog has been poorly socialized or mistreated or put into a situation where its instincts are in opposition to what people consider good behavior. On top of that, there’s the pit bull’s reputation as a fierce and highly capable warrior, which means that the breed often attracts the kind of owner who’s looking for a dog to personify and bolster his or her own tough-guy credentials. It’s exactly the kind of owner who will fail to raise the dog responsibly and might even encourage aggressiveness and put the dog in situations where it’s bound to fail. Once a dog fails, a flood of media coverage follows, which only further damages the pit bull’s reputation in the public’s eye and draws even more bad owners to the breed. This entire phenomenon was detailed in an excellent book called The Pit Bull Placebo, which tracked its evolution over the last 150 years. Can it be reversed? I’m not an advocate or an activist but I hope so, because I think these are essentially good dogs that have received a bad deal. The Bad Newz case was a step. The Lost Dogs could be another step. That’s all that can be done right now: keep taking steps maybe one day the breed will arrive at a better place. 2) How did the practice of dog fighting being and what motivates people to become involved with it? The pit bull and its close relatives—the Staffordshire bull terrier and the American Staffordshire terrier—trace back to the 17th and 18th century English practice of bull- and bearbaiting, in which canines took on giant predators for public amusement. When that activity was banned in the early 1800s, the dogs were then turned on each other and the practice evolved from there. That’s simply one isolated strain, though. Unfortunately, dog fighting occurs all over the world and each culture seems to have its own favorite breed for the task. Although I’m no sociologist, it seems the impulse is connected to some violent and tribal drive that lies deep within our own nature. Most people are able to exercise those demons by yelling at flight attendants or clueless customer service reps or, ironically, watching the NFL, but for some people that instinct runs to a deeper bloodlust. I imagine it’s the same instinct that has led to the stunning popularity of ultimate fighting sports and mixed martial arts over the last decade. 3) What does the future hold for the Vick dogs and pit bulls in general? In a way, there’s no such thing as the Vick dogs anymore. They’re now fortysomething individual dogs, and each is out there fighting its own battle against its own particular history. That’s their future. For some it’ll be a life that looks and feels a lot like any other family pet. For others there will be times of joy mixed with times when they are cowed by their fears and memories. For pit bulls in general I fear there’s a lot more of the same. I was talking to a friend recently who has a Doberman pinscher and he told me that when he brings his dog to certain parts of town, he’s almost always approached by someone who asks if he wants to fight her. And that’s in suburban New Jersey. Whatever progress has been made, it pales in comparison to the entrenched and widespread practice of dog fighting. 4) Has the treatment of the former Vick dogs changed the way that fighting dogs are dealt with? Before this case the common practice was to treat all the dogs taken from a fight bust as one entity. The conventional wisdom was “save them all or destroy them all.” When it came time to decide the group’s fate, many parties would argue that for the most part these dogs were violent and aggressive and beyond rehab so why use time and resources on them when there were plenty of other perfectly good dogs already languishing in shelters? Most of the time, the entire collection of dogs was put down. The Bad Newz case helped seed the idea that such dogs should not be looked at as a group, but that each should be individually evaluated and judged. The approach was successful, and in December of 2008, the Humane Society of the U.S. changed its official policy so that instead of recommending euthanasia for fight-bust dogs, it supported a program of individual evaluation. 5) Was Michael Vick treated unfairly or prosecuted just because he was famous? He was definitely not treated unfairly. He broke the law. He got caught. He pled guilty and was sentenced. Some have received lesser sentences than he did, but others have received harsher sentences for the same violations. There’s some evidence that he could have been charged with additional crimes, but he was not. He served two years in Federal prison and was forced to declare bankruptcy. He was not prosecuted because he was famous, but his celebrity aroused a great deal of public interest, and that ensured that the case would remain in the spotlight and that an outcome that didn’t seem to serve justice would have caused considerable backlash. 6) What do you say to people who shrug off dog fighting by saying that these are “just dogs,” we kill cows and chickens and hunt deer, so what is different about dogs? Men first domesticated dogs more than 10,000 years ago, when our ancestors were hunting for their meals and sleeping next to open fires at night. Dogs were instant helpers in our struggle for survival. They guarded us in the dark and helped us find food by day. We offered them something too, scraps of food, some measure of protection, the heat of the flames. Certainly, as man rose in the world, dogs came with us, perhaps even aiding the advance. They continued to guard us and help with hunting, but they did more. They marched with armies into war, they worked by our sides, hauling, pulling, herding, retrieving. We manipulated their genetic makeup to suit our purposes, cross breeding types to create animals that could kill the rats infecting our cities or search for those lost in the snow or the woods. From the start it was a compact: You do this for us and we’ll do that for you. And dogs have that innate ability to sense what we’re feeling and commiserate. There’s a reason they’re called man’s best friend. As for why our bond with them matters, there are reasons for that, too. If you hang around animal activists for a while you’ll inevitably hear repeated a famous Gandhi quote: “THE GREATNESS OF A NATION AND ITS MORAL PROGRESS CAN BE JUDGED BY THE WAY ITS ANIMALS ARE TREATED.” The idea being that in order to lift the whole of society, you must first prop up the lowest among its many parts. If you show good will and kindness toward those who cannot stand up for themselves, you set a tone of compassion and good will that permeates all. 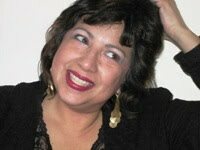 Marta Acosta is the author of the Casa Dracula paranormal romance series. Haunted Honeymoon (Casa Dracula book 4) was officially released by Simon & Schuster/Galler on October 4th. A former regular contributor to the San Francisco Chronicle, she has degrees in creative writing and literature from Stanford. Under the name Grace Coopersmith, she has a book titled, Nancy’s Theory of Style, which was published on May 2010. She lives in the San Francisco Bay Area with her family. Her books have been named BookSense Picks, Catalina Magazine Humor Book of the Year, and Fresh Fiction Fresh Picks. Wonderful to have you here, Marta. Why don’t you start by telling us a bit about your latest book, Haunted Honeymoon. What inspired you to write it? Milagro is a freak-magnet and no matter what she does or where she goes, lunatics and extremists are drawn to her. Frankly, she likes nutty people, parties, flirting, and rushing into situations. However, Milagro has many regrets and she’s insecure enough to want another chance to do things right. So Haunted Honeymoon explores why Milagro is the way she is and whether it’s possible t o have a do-over with a fabulous man. Are you a full-time writer or do you have another job? I’m a full-time writer. Writing and the business of writing – blogging, answering mail, doing Q&As, events, etc. – take up all my time and I usually don’t take days off, even weekends. Stream-of-consciousness is fine for writing a first-novel, but not a great way to sustain a writing career. I liken it to building one elaborate room of a house, the bathroom for example, with all sorts of luxury features and then trying to build a house around the one room. A lot of people think plotting is dull, and I always find it really hard to do, but if you set the framework of a book, the interior will be much more sound. You can always change things, but I think having an overall plot lets you develop more complex storylines. Good question. I don’t know. I wrote the synopsis and a chapter, submitted it to my editor, waited, got approved, then did a first draft and submitted it. While I’m waiting, I’m working on other projects. The book goes back and forth between my editor, the copyeditor, and myself. All in all, it takes at least a year, if not longer. I suffered from writer’s block when I was younger. Things changed with my freelancing jobs. I found that writing was much easier when I got a paycheck for turning in a story. Whenever I do feel stymied, I force myself to keep going. I can always go back and rewrite, but the very process of writing gives me ideas. What seems to work for unleashing your creativity? I daydream. I consider it part of my job. If I wake up in the middle of the night, which I always do, I think about my stories and what I can do with them. I used to find taking walks with my old dog very helpful, but now I have two crazy dogs and I have to pay attention to them when I take them out in the mornings. I did the query route for an agent. I don’t even remember how long that took. When I finally got one, she wanted me hire an editor to help me rewrite my novel. The editor didn’t have a sense of humor, took out all my funny stuff, and I had to put it back in. 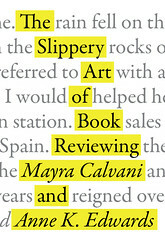 Many months went by while editors looked at my book. Finally an editor was interested and there was a one-day mini-auction of my first novel. It was pretty exciting. The advice I’d offer is: be prepared to be turned down a lot. It’s so easy to get discouraged. If the rejections keep mentioning the same problem with your manuscript, then maybe you should fix the problem. Don’t be so in blindly in love with your book that you can’t think of ways to improve it. Do you think a critique group is essential for a writer? Not at all. I don’t have one. Some people love groups, and others don’t. If you don’t like being in a group, for heaven’s sake, don’t force yourself to join one. I’ve got too many to maintain! Do you have another novel on the works? Would you like to tell readers about your current or future projects? I’m currently working on two projects, a young adult gothic with a ghostly theme and a romantic comedy set in San Francisco. Both are just in the initial stages, but I hope one will find a home! Thanks for having me here, Mayra! I hope that your readers will check out my latest Casa Dracula novel, especially those who’ve been following the series. I think it will offer them a real emotional reward, just as Milagro finally steps into her proper role in life and with the fabulous man she truly loves. 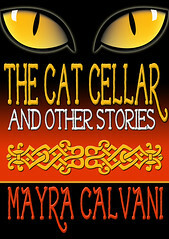 –Latino Books Examiner Mayra Calvani writes fiction and nonfiction for children and adults. Her latest book is, How to Turn Your Book Club into a Spectacular Event. 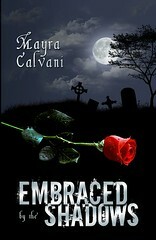 Check out her website at www.MayraCalvani.com. 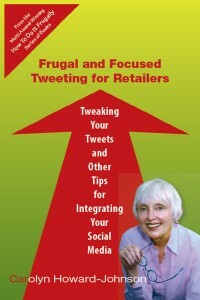 Frugal and Focused Tweeting for Retailers isn’t only for retailers. I requested a review copy because, as an author, I’m always on the lookout for new ways to promote and market my books. I have to say, I was not disappointed with Johnson’s book. In an engaging style and simple, straightforward language, the author explains what Twitter is all about, and how to use it effectively in a marketing campaign. There are hundreds of Twitter applications out there, and the whole thing can get pretty confusing, especially for a beginner, so what is most helpful about this book is that the author separates the essential ones from the ones that should be avoided. From the basics of how to set up an account, to how to integrate Twitter into your other social media, to building your list of followers, to attracting new followers, to much, much more, Frugal and Focused Tweeting for Retailers will take your Twitter marketing efforts to the next stage. The book also includes sample Tweets and critiques, a list of applications (those that work and those that should be avoided), as well as a glossary of important technical Twitter terms. I would recommend this book to authors who are new to Twitter, and also to those authors who, like myself, are familiar with the basics but would like to take their tweeting to a higher, more focused and effective level. If you don’t quite ‘get’ what Twitter is all about, your doubts will be clarified after reading this little crash course on the art of tweeting. Find out more from Amazon.